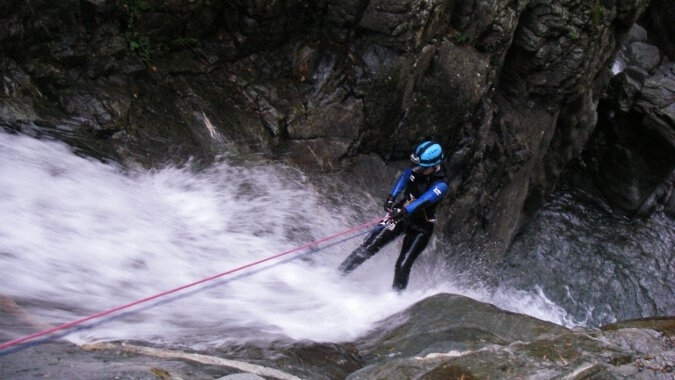 The Pyrenees are a brilliant place to discover the challenging sport of canyoning. 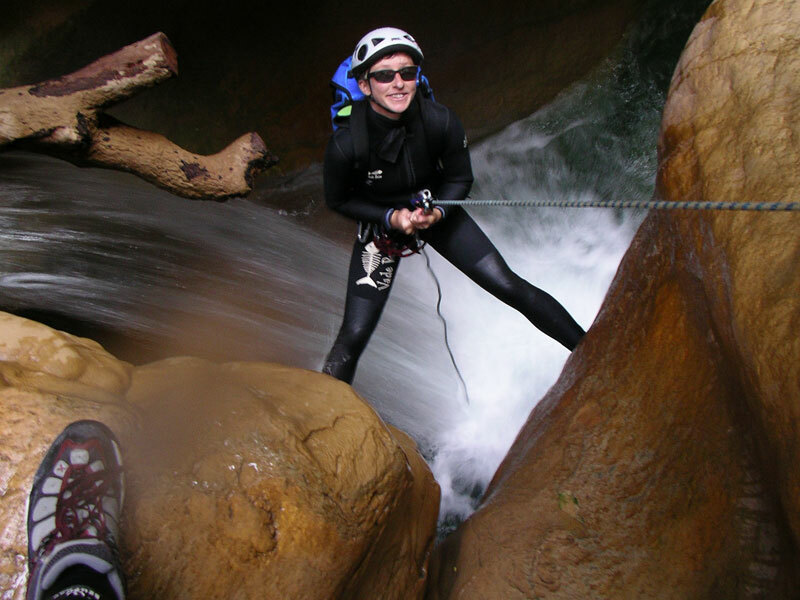 Canyoning is generally only available in the mountains, where steep valleys and rushing mountain streams lead to the formation of canyons. The idea of canyoning is to follow the river downstream in any way possible – sliding, swimming, jumping, climbing and abseiling. 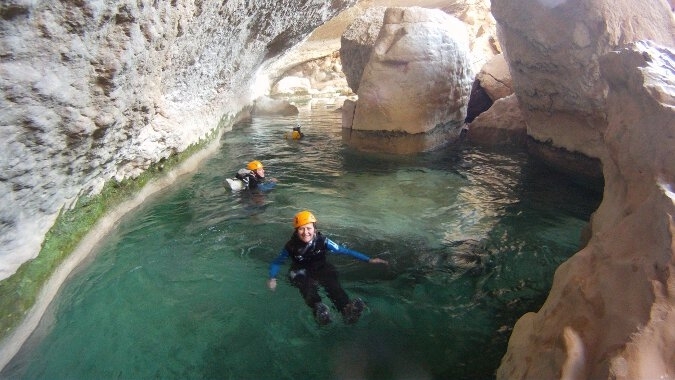 You can try canyoning as a half day activity as part of our multi-activity holidays, as a long-weekend’s introduction to canyoning or as a full week of canyoning working up towards the descent of technically challenging, vertical canyons at the end of the week. 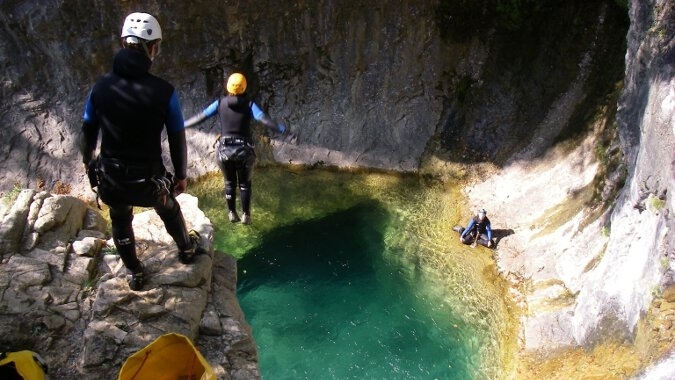 We currently have the following canyoning holidays available but we can arrange bespoke trips for groups of 4 or more, at any time during June to October, so please enquire if you have specific dates or locations in mind. Who are these holidays for? 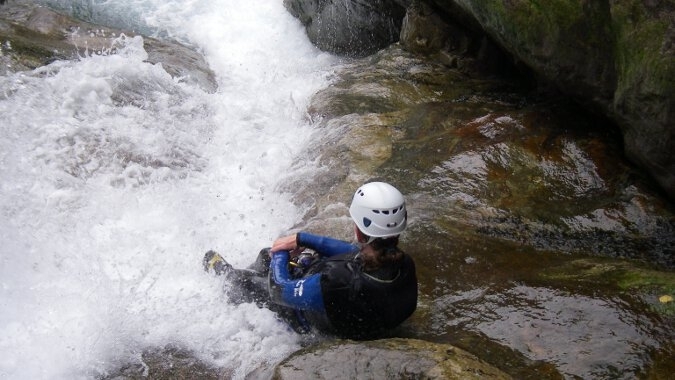 If you enjoy being active, have a good head for heights and enjoy having fun in water, then canyoning is for you! 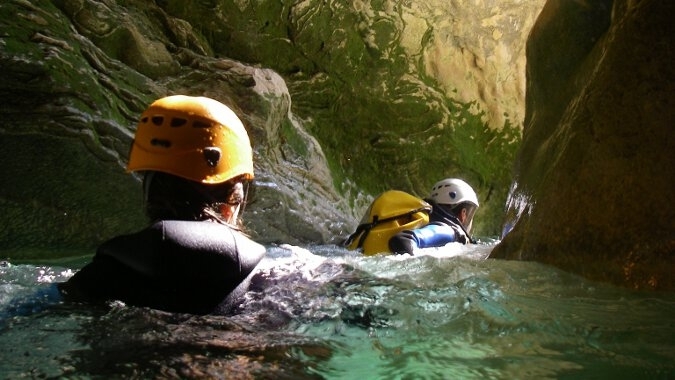 To get the most out of your canyoning holiday you should be reasonably fit and active. 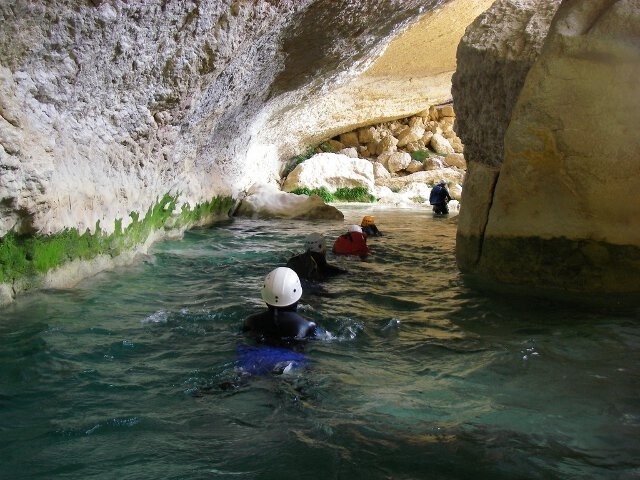 You should not need any specific training but you will enjoy canyoning more if you take some regular exercise before your trip. Some of the canyons require a reasonably long walk-in with some uphill climbing, and you may like to offer to share carrying the ropes and equipment with your guide. No previous experience of canyoning or abseiling is necessary, but you should have a good head for heights and be able to swim confidently. All of our holidays are guided by fully qualified local instructors who have a lifetime of experience working in and exploring the area. They will make sure you know how to use the equipment, chose the routes for the group, and ensure everyone has a safe and fun time. You will also have a member of the MountainBug team with you as a second guide. 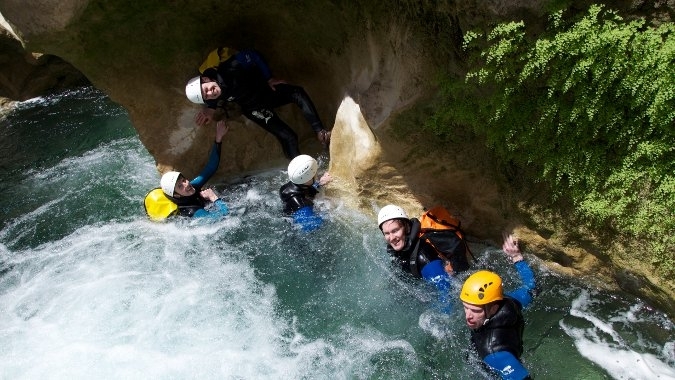 When is the best time of year to go canyoning in the Pyrenees? 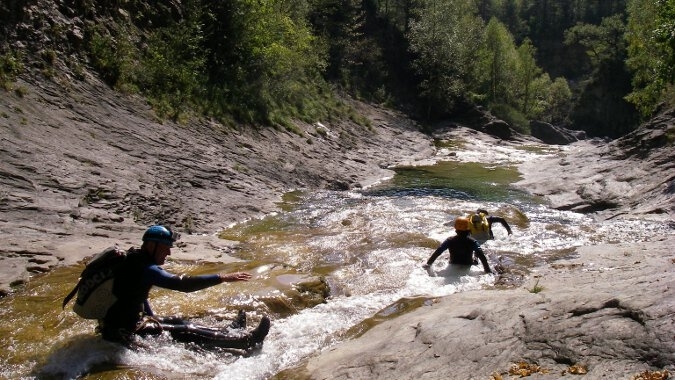 The most exciting time of year for canyoning is in early Summer, when the snow melt from the high mountains makes the rivers roar. This does mean that the water is cold though, so Autumn is also a very popular time of year, when the mountain streams are at their warmest. 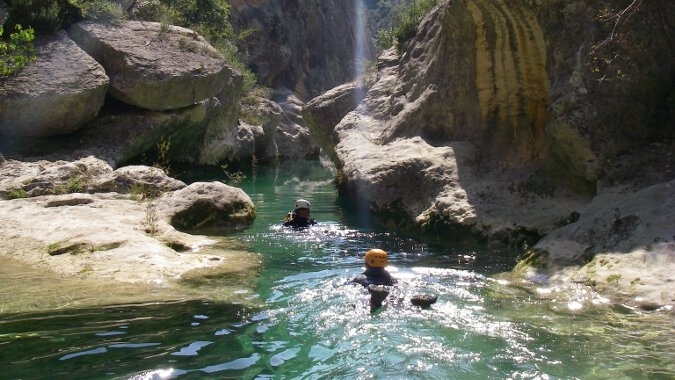 In the Spring we offer canyoning in the Sierra de Guara National Park, in the foothills of the Spanish Pyrenees, where the early season river levels are safe and the water temperatures are much more pleasant. Here the canyons are typified by sculpted rock formations and green pools. 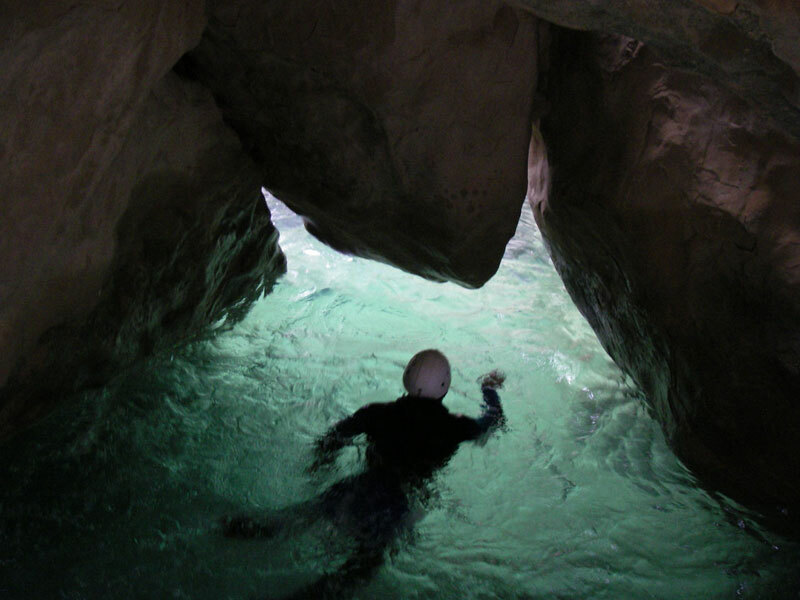 Some of the upper canyons are dry, with impressive abseils to reach the river hiding deep in the narrow gorges – almost like caving above ground. On the French side of the border, ideal in July, August and September, the rushing waters and lush vegetation give some of our local canyons a humid, rainforest atmosphere and a “Lost World” feel. We can’t guarantee that you’ll stumble across a prehistoric creature (other than perhaps a glistening black and yellow Salamander), but there are water chutes and pools to jump in, and you will get very wet abseiling down waterfalls. 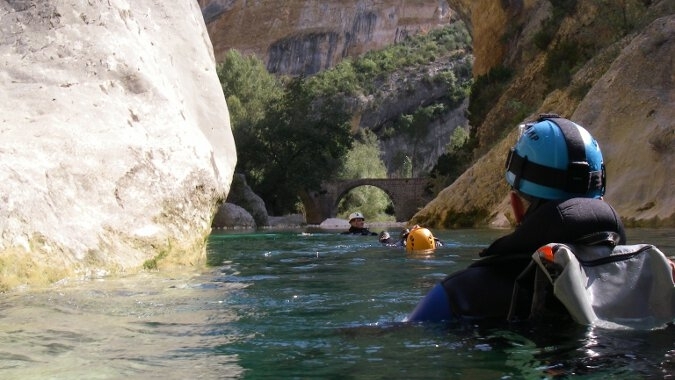 We like to mix the different characters of the canyons of France and Spain with a two-centre break during a full week of canyoning. Then contact us! For groups of 4 or more we can be flexible with dates and itineraries and are happy to build a bespoke itinerary for you and your group. 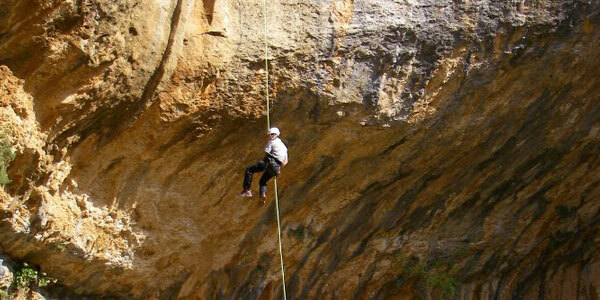 Now choose your canyoning holiday, then contact us to book.